Fluidampr Crankshaft Dampers have arrived! 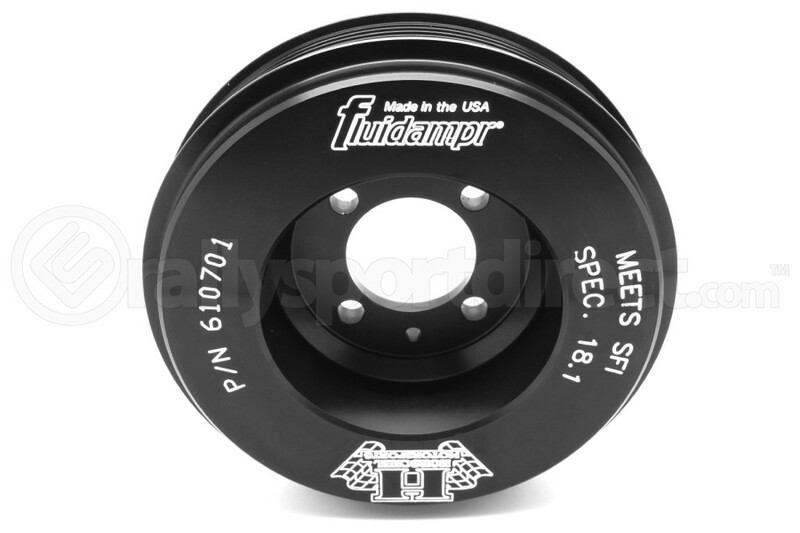 RallySport Direct now carries the Fluidampr Crank Pulley for most Subaru models, as well as the Evolution 8/9. Also known as a harmonic balancer, these crank pulleys are designed to reduce crankshaft torsional vibration. This is considered to be end-to-end twisting and rebound motion that is generated through each power stroke. A quality harmonic balancer will contribute to greater valve train and timing efficiency, and will prolong the life of critical engine components such as your main bearings, oil pump, and the crankshaft. Why is a quality harmonic balancer important? If you look at a typical harmonic balancer you will notice that usually, there will be a drive pulley incorporated with the balancer. It is called a harmonic balancer for a reason because it is designed weight wise, to balance the movement of all of the internal guts. There are some companies who developed lightweight crank pulleys to reduce the rotational mass of the crank, however this can be detrimental due to poor design. However on some applications such as the Subaru, lightweight crank pulleys are considered okay since the length of the crankshaft is so short. Okay but why would I ever need a performance aftermarket crank pulley? Well if your engine is highly modified, and you’re making super serious horsepower, then there have been instances where the factory harmonic balancers have failed causing your engine to go along with it. If your increasing horsepower and torque, then your increasing the torsional vibration magnitude. If you’re in the middle of an engine rebuild and you plan on increasing power, it’s important that you inspect the factory harmonic balancer to see if there are signs of cracking, or if the rubber is bulging out of the hub. One example of a car known to have failing crank pulleys would be the MKIV Toyota Supra Turbo. These cars are known to make incredible amounts of power under light modifications; however the factory harmonic balancer can only handle so much power of the equipped inline 6. Furthermore, whenever you add go fast parts, the said torsional vibration magnitude and frequency will increase, potentially causing stress to all of the internal rotating parts especially if the power levels are way outside of its factory parameters. So take a moment if your in the middle of a build and think about how much power you’re going to make. If you have already invested in a modified engine with forged internals, or you’re surpassing power outside of factory levels, it would be a smart choice to further invest in a Fluidampr crank pulley. These can be some of the most overlooked engine components one may discard while building a list of go fast parts. 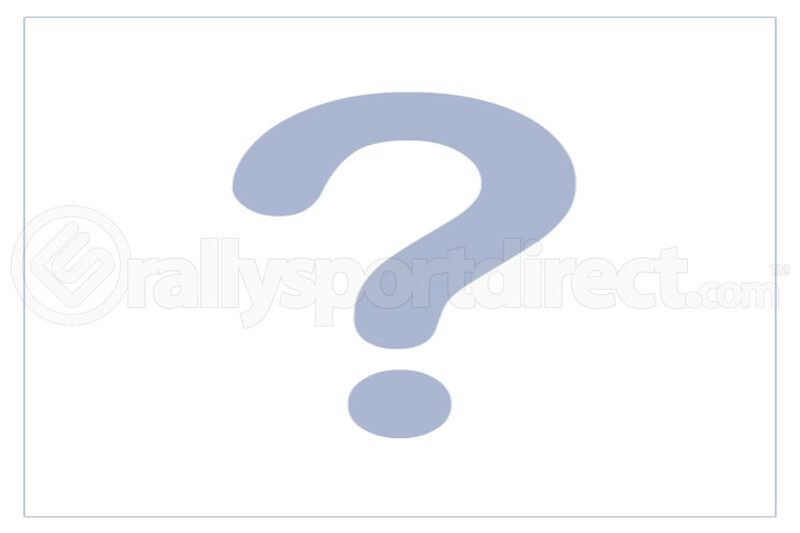 Come visit us at www.rallysportdirect.com, and see if we carry a Fluidampr crank pulley for your application.